I’ve been hearing a lot about the scene in Arkansas, and more specifically, in Bentonville. 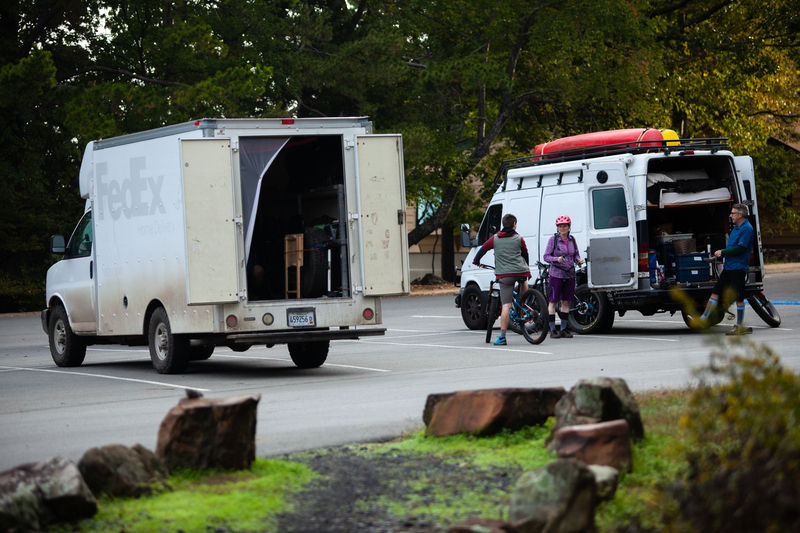 I had mostly known about Bentonville as the global headquarters of retailer Walmart, however, in recent years a substantial mountain bike movement has grown. Now I keep hearing more and more about the town, to the point that it’s one of the “must ride” destinations between the Rockies and the Atlantic. 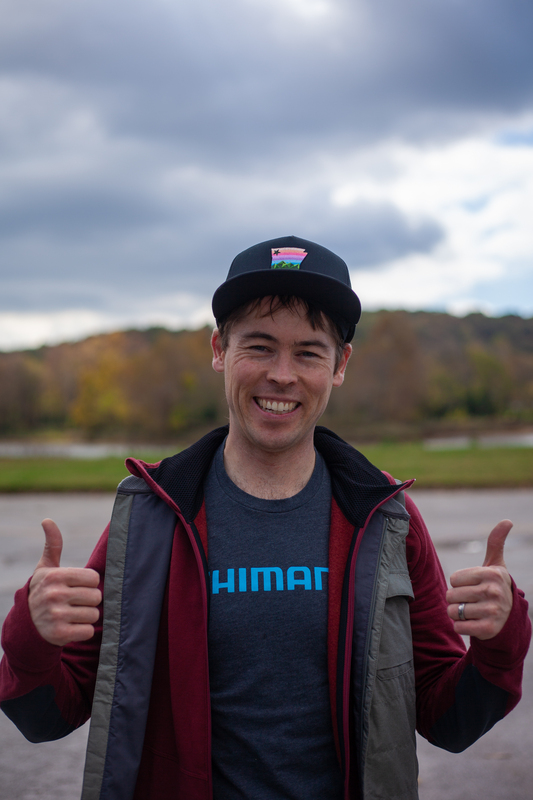 I decided to take a trip and ride the trails myself, and I also wanted to visit another destination that I’ve heard a few rumors about as well: Little Rock. To get a better feel for the scene in Little Rock, I called Paul Norris, president of the Central Arkansas Trail Alliance. Paul and his wife Melanie showed us the Jackfork trail. This volunteer-built trail is very much a traditional mountain bike feel, though the terrain of Little Rock is indeed that: very rocky. 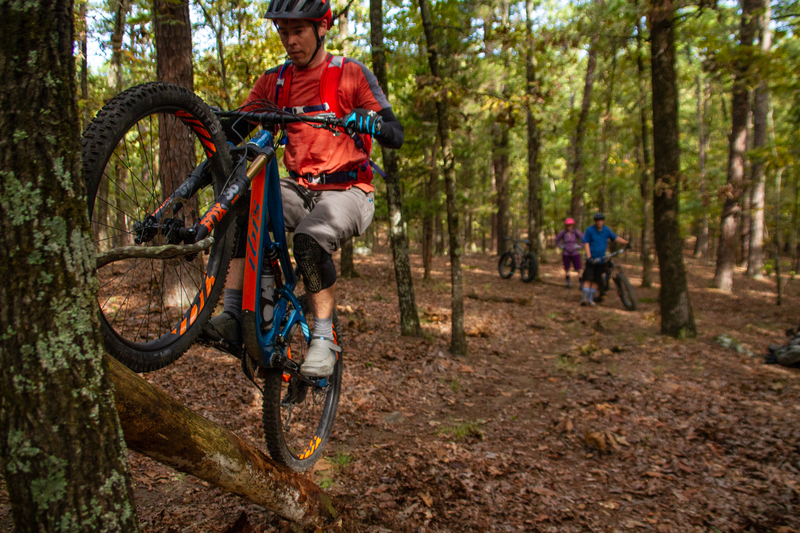 In Bentonville, there are currently about 150 miles of professionally built trail, and plans for many new trails set to open soon sound very exciting. Dave at Mojo Cycling connected me to a couple of key players: Scott Schroen, Director of Oz Trails, and Gary Vernon, a program officer of the Walton Foundation working on Arkansas focused trail and cycling projects. Schroen organized a couple of days of riding with some key local players, and indeed, Southern Hospitality is as strong as ever in Arkansas! Schroen himself moved to the region only 8 years ago and has really seen the trail explosion. Vernon moved to the area a while before Schroen and has witnessed the scene go from deer trails to man-made rollercoasters first hand. In addition to Schroen and Vernon, while in Bentonville we also rode with factory Pivot enduro racer Richard Drew; Gravitas racing members Gerritt Hubbard and Eric Smith; Bike NWA special projects coordinator Candice Kozark; Arkansas league director of NICA Kyla Templeton; local entrepreneur Bea Apple; and photographer and mobile bike shop owner Denis Kremenetskiy.